Alexis Thigpen shown competing at Tiffin University during her sophomore year. There were a flurry of meets on the calendar last weekend to kick off the new year, but that doesn't mean that all of our athletes were competing state-side. A number of Ohio-based individuals and teams hit the road to test themselves against competitors from throughout the region. 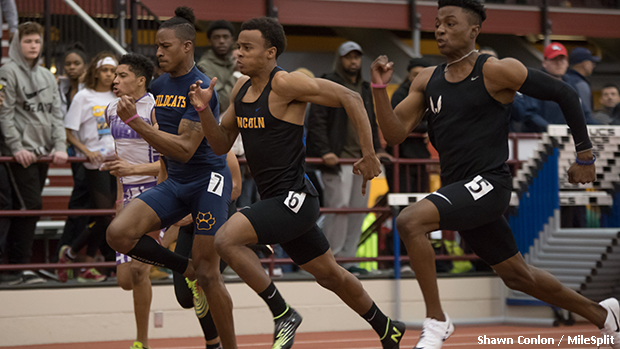 The power-house sprint program from Gahanna Lincoln headed to Pennsylvania's Kevin Dare Invite, where LaCarr Trent and Alexis Thigpen collected top placements. The University of Cincinnati bound Trent won the 60m finals in 6.98. With this effort, he sits third in the state rankings behind only Lorenzo Styles Jr. and Zarik Brown. The junior, Thigpen earned a runner-up finish in the 400m contest with her 58.77 clocking. This result represents an Ohio No. 5 for the 2019 indoor season. LaCarr Trent (shown at SPIRE) took down an accomplished field in the Keystone State. Madison senior, Nolan Landis also took his talents to Pennsylvania -- at the TSTCA Meet #1 hosted by Edinboro University. There, the Hoosiers commit threw 60-3 for an indoor shot put pr and an event win. Landis will be on the short-list of favorites to contend for the Division I state title in March. At the MITS - EMU #2 meet in Ypsilanti, Michigan, Zamir Youngblood captured fifth place in the 60m finals with his time of 7.10. The senior is ranked seventh in the state this season from a previous result (7.07 at the Tiffin University High School Meet #1). Christian Ford earned a pair of victories at the Purdue Fort Wayne Open in Indiana. 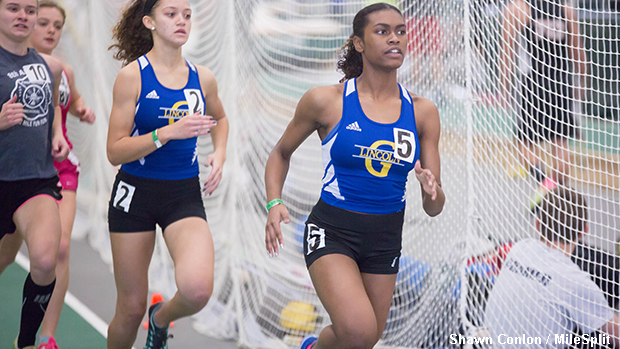 The YSU commit went 7.09 and 22.59 for triumphs in the 60m and 200m contests. Following Ford in both races was fellow Ohioan, Robby LeFevre. The Fort Recovery senior recorded times of 7.21 (3rd place) and 23.21 (2nd place).